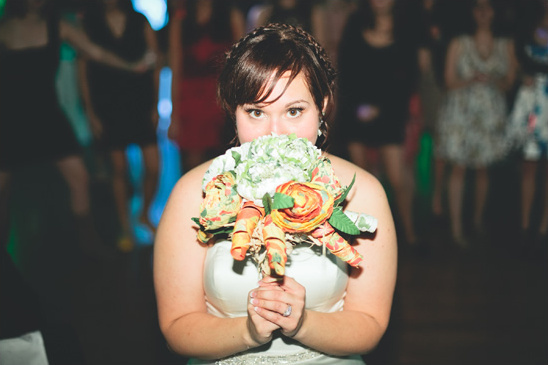 As an art student, Jacky was eager to have a DIY wedding and craft her heart away. 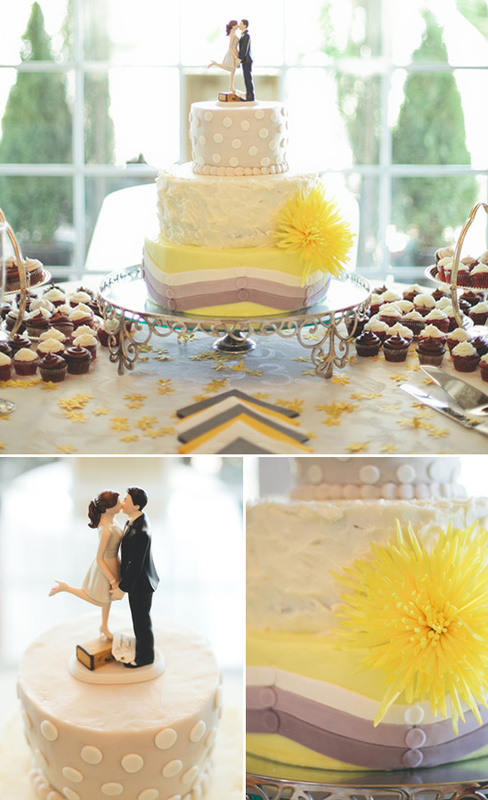 She was positive she wanted a homespun wedding with a vintage feel. 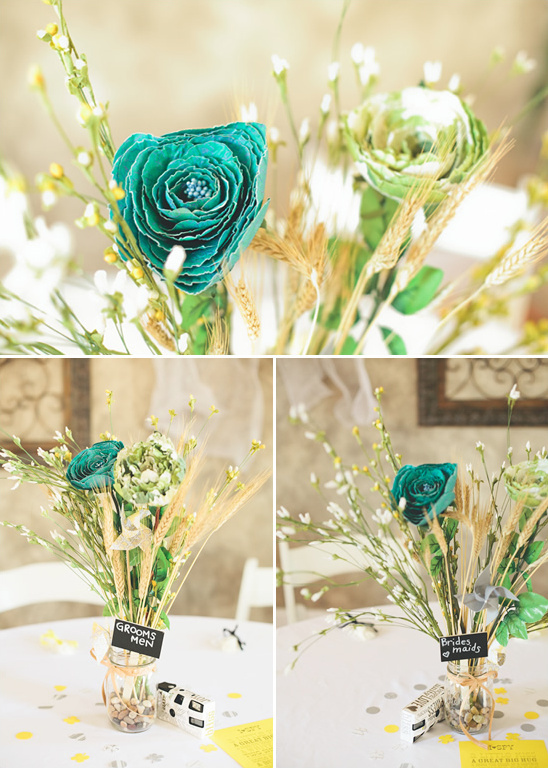 While doing many of the projects on her own like the super cute boutonnieres for the groomsman, she also got a little help from a friend we like to call Etsy. 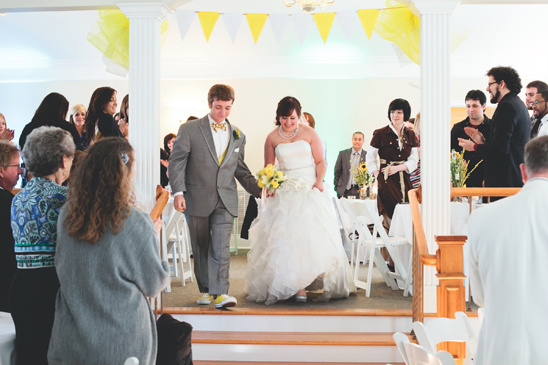 From the hand-embroidered felt wedding bouquets to the coordinating lemon yellow and gray suspenders, Jackie spent quite a bit of time on Etsy and whole heartedly recommends it. 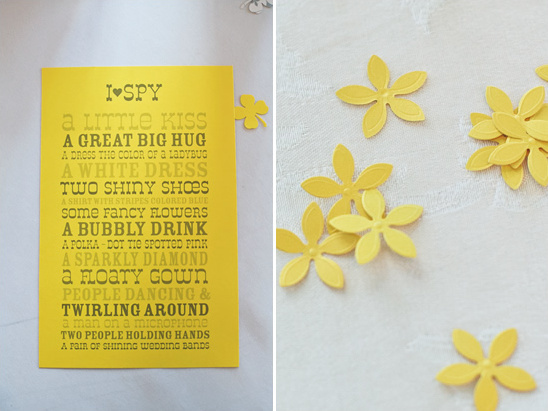 You can see more homespun yellow wedding ideas in the full gallery captured by White Rabbit Studios. 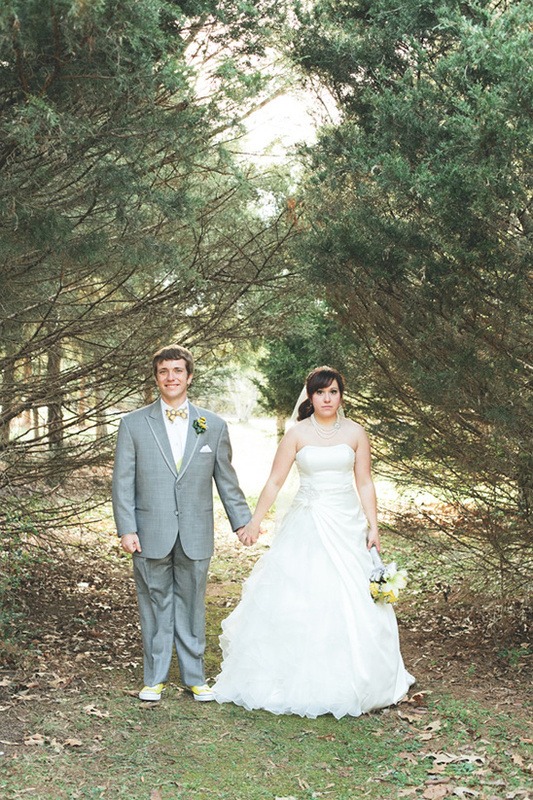 One of our main wedding tips is to make your groom comfortable, and let him choose to show if his personal style too. That's exactly what Mike did. 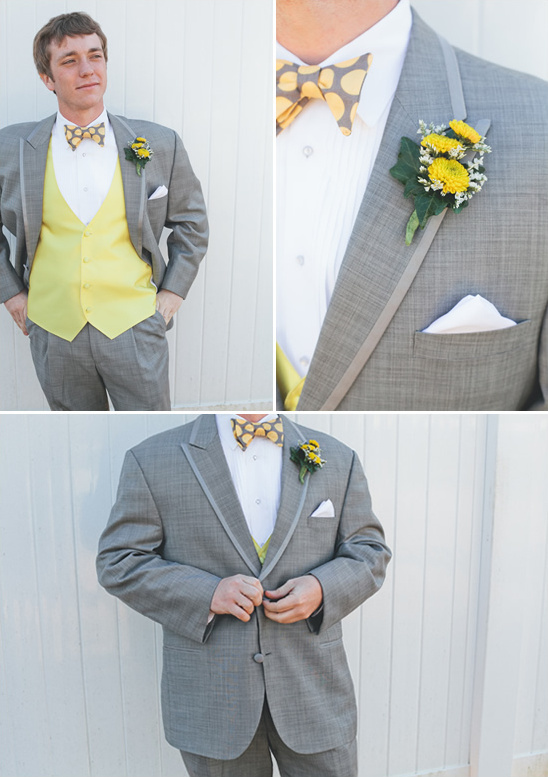 he went with a gray suit and a Yellow and Gray Retro Dot Bow Tie, finishing off the look with a pair of yellow converse. Keeping consistent with the color scheme, but adding a little personal flavor to the look. 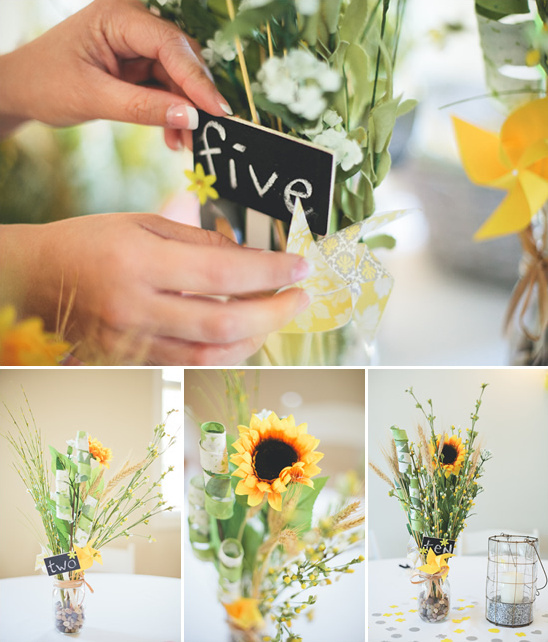 From Jacky:As an art student I always knew I wanted a DIY wedding. With the new trend with mason jars, I was excited to create my own centerpieces with river rocks and artificial flowers! I wanted my theme to be pretty, but very close to home with a vintage homemade feel about it. Making the boutonnieres out of felt was probably my favorite! And the guys loved that they could keep them. And it was so surprisingly easy to make. 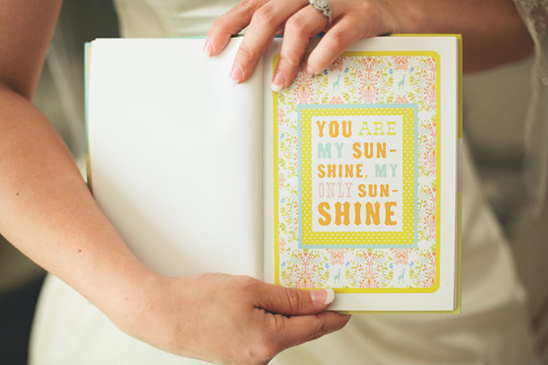 I also enjoyed making my own Shutterfly guest book. It made the idea so much more personal being able to include my own pictures and text. 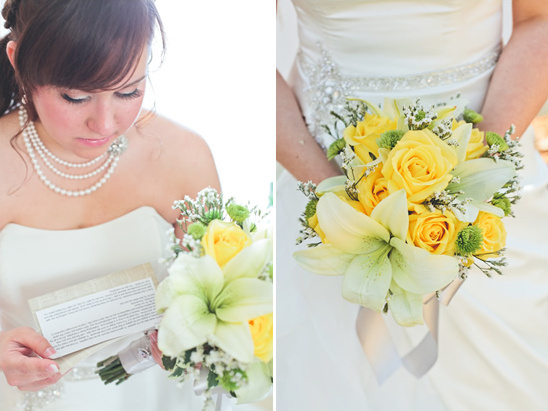 I immediately fell in Love with the yellow and gray color scheme! When things are hard, Mike always tells me that I'm his sunshine when skies are gray. :) Thus the appearance of yellow emerging from the gray - and black here and there for a more intense contrast. 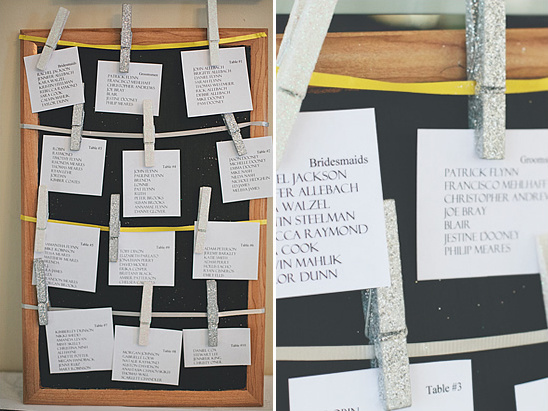 I followed Wedding Chick's Pinterest and although we were working in a tight budget, I found ways around my favorite ideas to make them affordable to me. So I purchased a lot of my accessories from stores at Etsy.com. If I had more money or time, these things would have been handmade by me as well, but I'm so happy with the vendors I bought from that I whole heartily suggest everyone else to shop with them too! 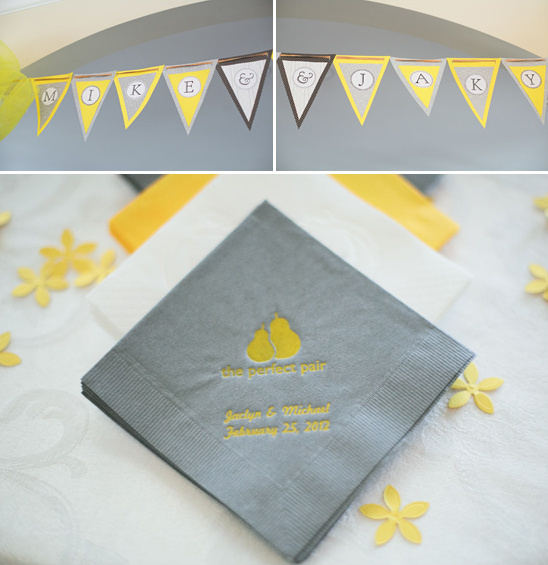 Everything from my jewelry, Mike's bow-tie & suspenders, to my guest book tree poster! 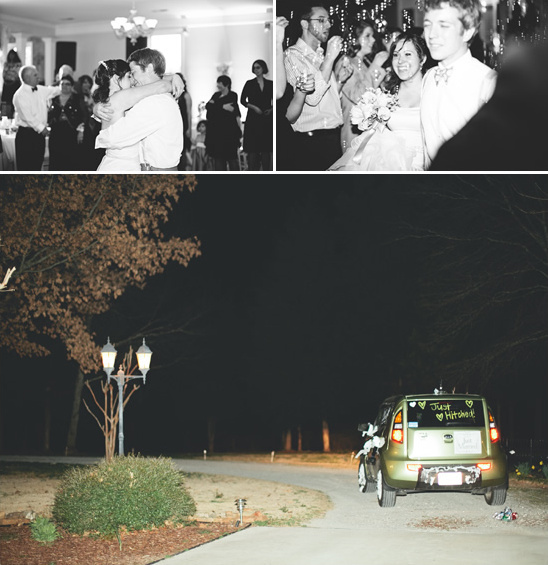 It all made my wedding more personal and I loved it. White Rabbit Studios' photography only further enhanced the atmosphere. It was everything I wanted. Through their camera lenses, I feel like things became more magical. I felt like I was living in a dream that day.